« Help: I Can’t Open .EXE Files! I’ve been asked by quite a few people who’ve seen my GMail, and were surprised to even imagine GMail like that. 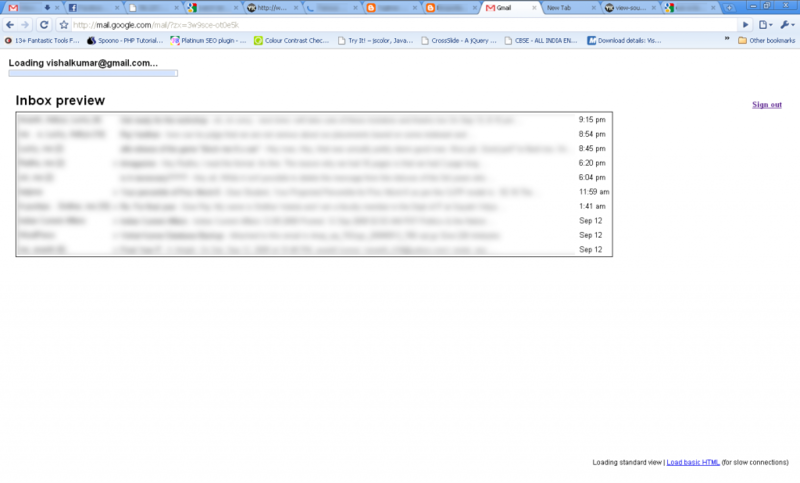 So I figured I’d do a quick post on how to get GMail’s coolest features. First of all, click on the tab that says Labs, and you’ll get the same screen as the one above. You’ll need to Enable the Labs features, after which its a good idea to refresh GMail. You’ll see a lot of various options in this area, for enabling or disabling various Lab features. Here, scroll down and find Multiple Inboxes. You can also enable Google Calender Gadget, Google Docs Gadget, and for those of you with slower internet speed, enable GMail Inbox Preview (first covered here). Once you’ve saved the changes, you need to click on the Multiple Inboxes tab link. Here, you can set the number of side inboxes you want, along with what kind of emails you want to show there. I highly recommend that you put ‘is:starred ‘ as one of the search strings. 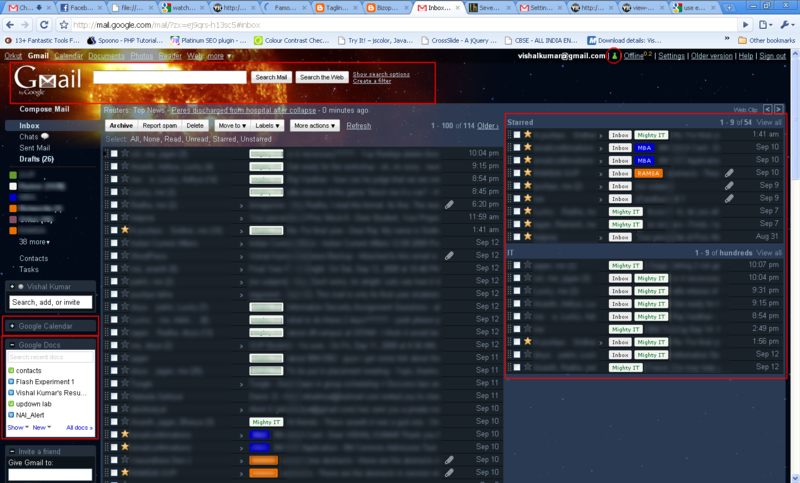 Basically this will have one of your Multiple Inboxes showing only the mails that you have starred. 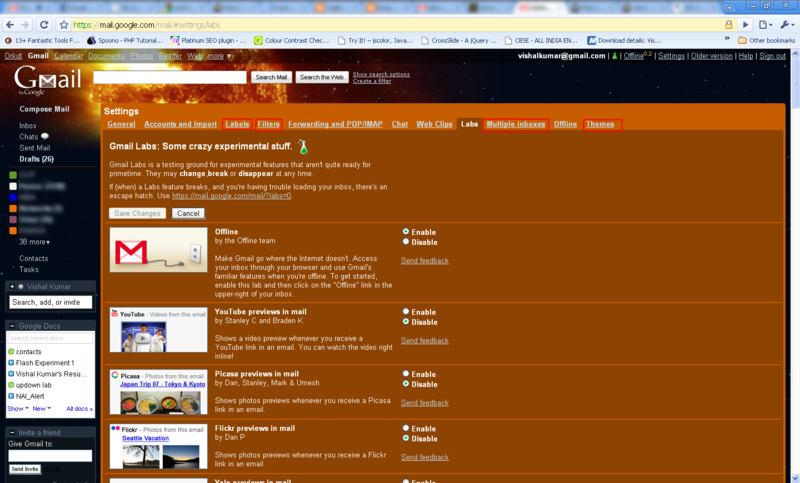 This way, you can put a star on an important email, and have it appear on the side of your main page. 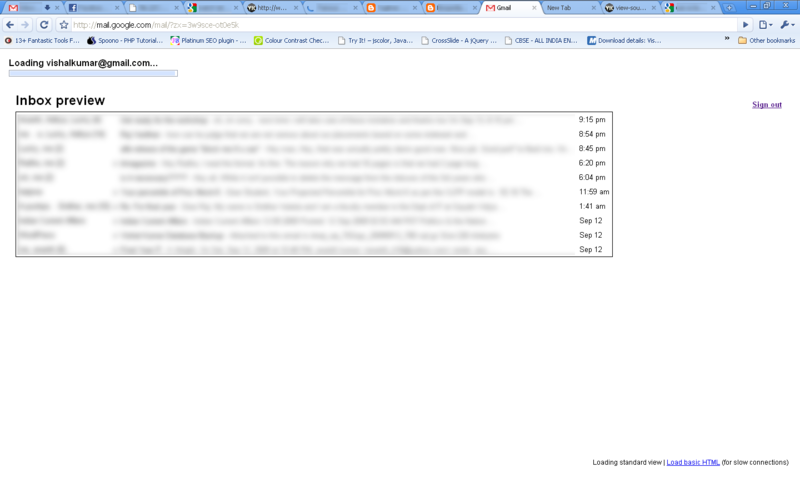 Another feature I like about Gmail is purely cosmetic. I’m talking of course, about the Themes. I have the Planets theme installed, which looks really pretty, and also changes in image according to the time of the place you are in. 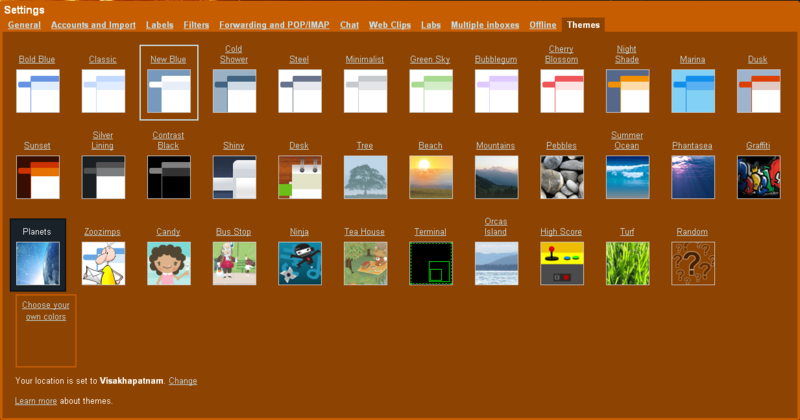 You can click on the themes tab and select a theme of your choice. Pepples is really good too. Anyway, these are just some of the basic GMail features that I have enabled on my GMail. I find that it looks way more interesting than before, and having links to my calender, docs, and starred mails right there in my main inbox saves a lot of time hunting down stuff. Check it out. Have any other cool GMail trick? Comment it down.